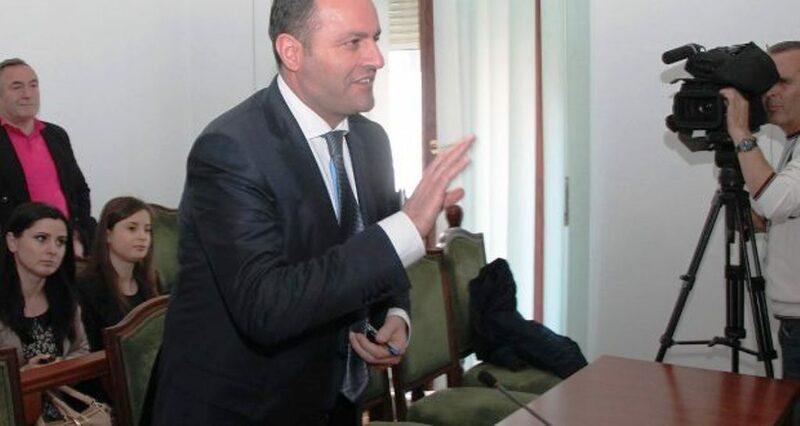 Former Attorney General Llalla will not undergo the vetting process, because he has resigned from the Albanian justice system. This is the decision that was taken yesterday by the Special Appeal College, upholding the previous decision of the Independent Qualification Commission, which suspended the vetting process on Llalla. This way, this institution decided to turn down the motion filed by the Public Commissioner to screen the assets of the former Attorney General. In his motion, the Commissioner argued that Llalla still has the magistrate status, despite the fact that he has resigned. Also, according to the Public Commissioner, Llalla’s decision is void, because he has not complied with the necessary legal procedures. But, the Special Appeal College decided to uphold the previous decision for the suspension of the vetting process against former Attorney General. “The Special Appeal College decided to suspend the reevaluation process for Adriatik Llalla and ban him from being appointed as judge, prosecutor, member of the Supreme Council of Justice for a 15 year period”, the ruling stated. Let us recall that Public Prosecution has launched an investigation on the former head of this institution. Llalla is being investigated for “refusing to declare, failure to declare, conceal or make a false declaration of his assets”, “for not declaring the amount of the money he possessed on the border”, “money laundering” and “abuse with office”.